Hey guys, as many of you know I am making a trip to San Francisco this week. I’ve have been to this city many times in my youth and adult life. This time I am going to visit a spot I’ve never been before to get some much needed ID. The one thing I don’t need is luggage. While that feels weird I do need some essentials. I’ve actually been thinking about this an awful lot. 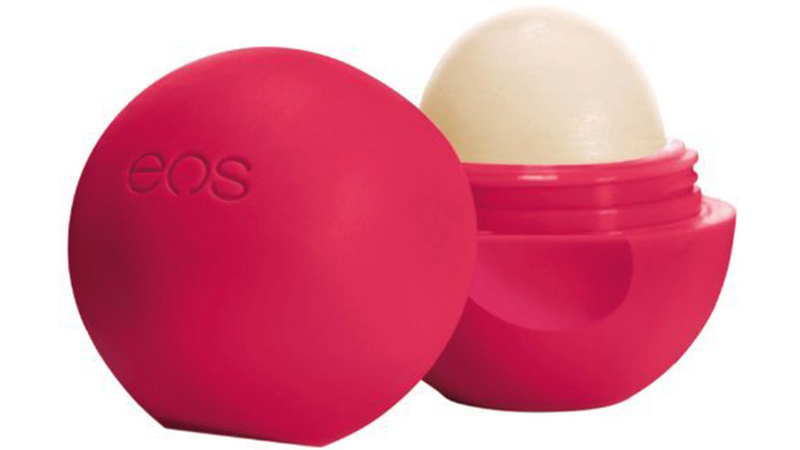 The one major thing I think everyone needs on a flight is chap stick! I normally choose one that is paraben free and whatever else. While my husband tends to make his own chap stick I don’t have the patience to wait for it so I purchase mine! As you can see from the picture below I use EOS. I use this because I like the way it feels on my lips. I mainly use this at night right at bed time. So when I wake up my lips are soft. I know what? But trust me this little thing is so refreshing and clean. I use it after I work out or when I’ve been exposed to the sun. I even use it when my little one has a bit of a redness in his diaper area. Now, I don’t remember the rules on aerosol cans and planes but this little thing is only 1.36 OZ. I would suggest looking at the airline rules and regulations before trying to bring this in your carry on. All I can say is when you feel yucky from being on a plane with a hundred other people this makes you feel just a bit more like a human! I do not leave home without this! I go everywhere with lotion. I hate washing my hands and not having some kind of lotion around me. I hate the dry feeling I get after washing my hands, I just hate being dry! Plus, as an eczema suffer lotion is a must! I don’t have an example of a brand that I use, just know that it is paraben free. As most things that I use. Some other essentials are a light sweater. (Even though I am with Jeremy Clarkson on this one, planes are hot!) Still, you never know! For a quick touch up bring some small makeup products. Really you would only need to freshen up your eyes, and powder. If you need more, or feel you need more then by all means pack away! I’ll defiantly be walking around so even if my outfit is super cute and I know heels will be the way to go, wear comfortable shoes. Preferably the ones that are easy to take on and off since you may or may not have to take them off at security. Remember to bring headache meds, allergy meds(just in case), and when you get there drink plenty of water! Heads up! I do not get paid to talk about these products, these are things that I use everyday and do so with my own money. If you want to try them then try them if you find something better, let me know cause I might like it too! Otherwise don’t feel obligated! Workout Journals:Use them or Lose them?